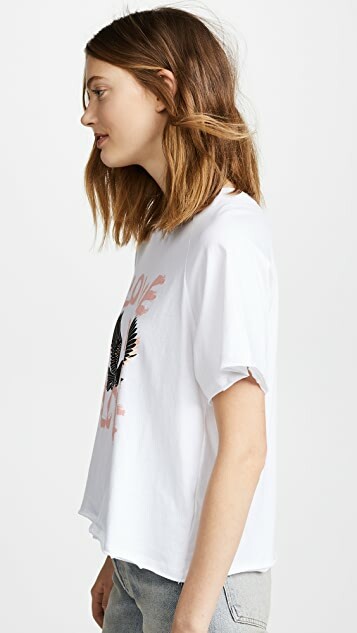 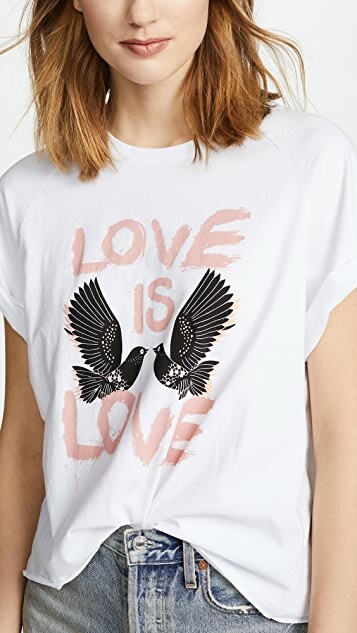 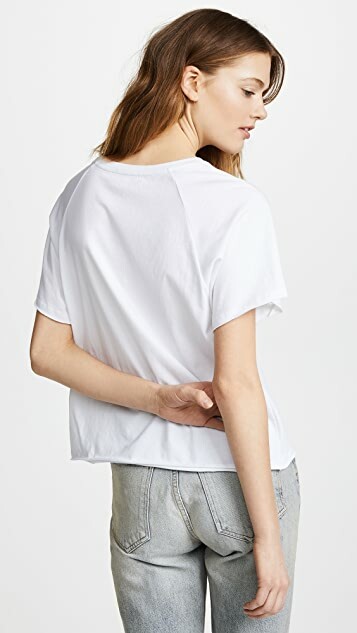 Show a little support for lovers everywhere in this Rebecca Minkoff tee that speaks pridefully for itself or makes a great layering piece. 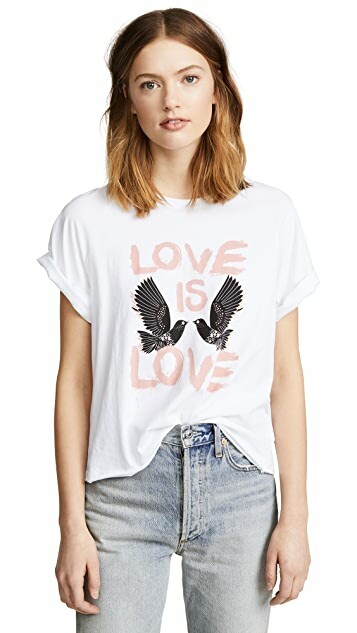 Love the design on the shirt. 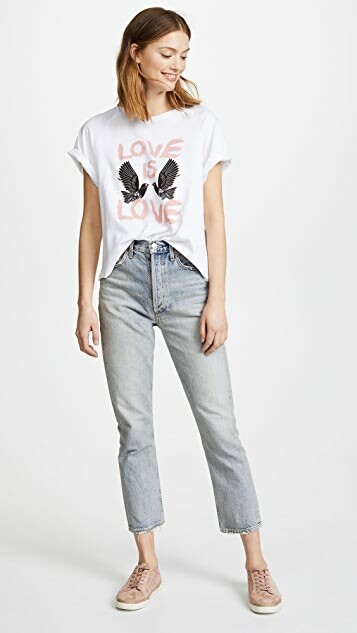 But the fit is a little off in terms of the winged sleeve. 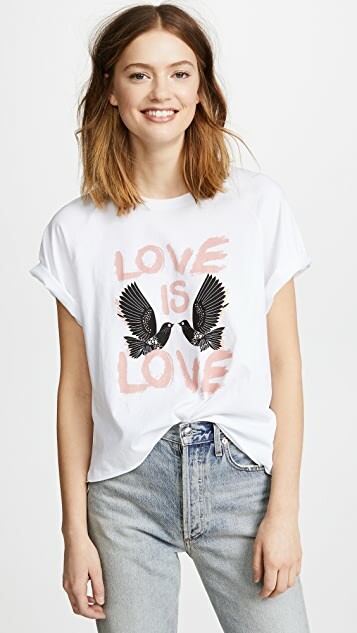 The sleeves stick straight out so it makes it difficult to achieve the slouchy look on the model but I liked the message on the shirt so much I decided to keep it.